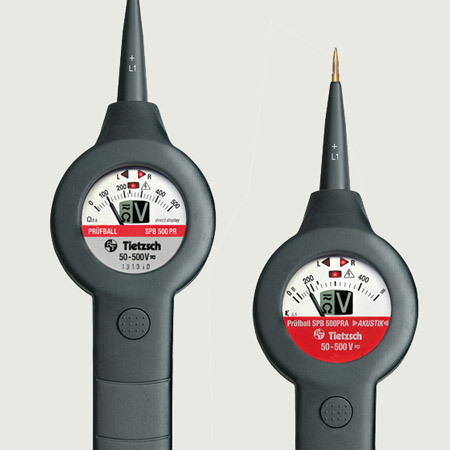 Rubber encapsulated voltage tester with moving iron mechanism for the toughest applications in industry and power engineering. 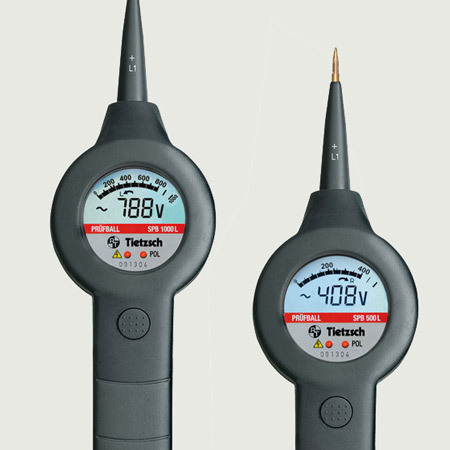 Digital and LED voltage testers for craft and industry. CAT IV 1000 V tested and certified to VDE GS (IEC/EN 61243-3). 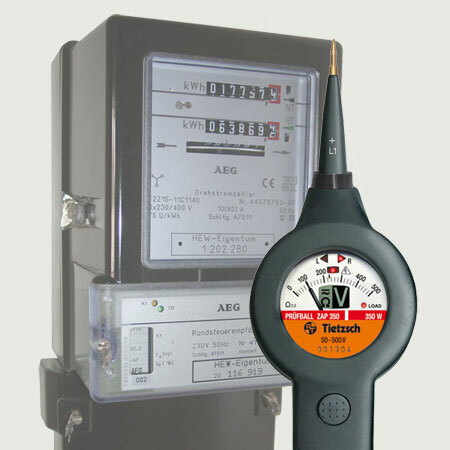 Very robust voltage tester in solid rubber housing. New version with direct-indicating moving coil measuring unit. Maintenance-free, without battery. 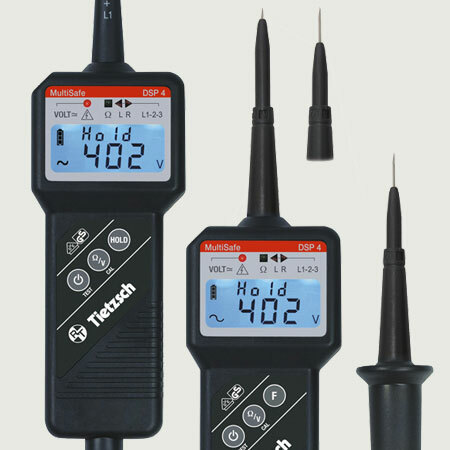 Very robust voltage tester in solid rubber housing. Direct voltage display on the illuminated LCD without pressing a button. Maintenance-free, without battery. 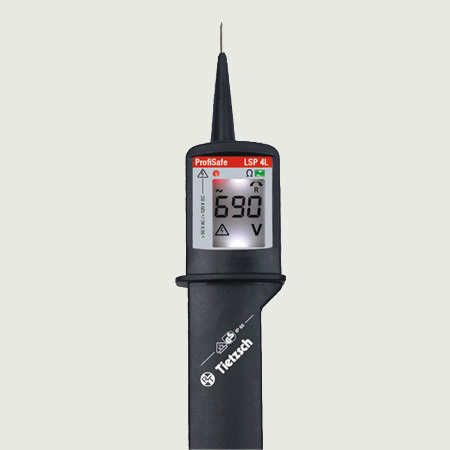 Precise voltage tester for all sectors of industry and power engineering. Easy operation and highest security against surge voltage. Rotary field test even with insulating gloves. 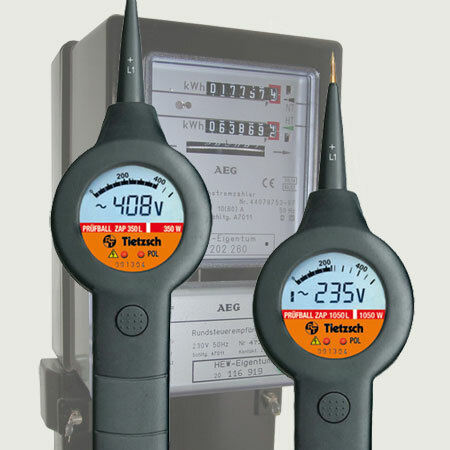 Versatile voltage tester for all sectors of industry and power engineering. Maximum safety through CAT IV – 1000 V. Precise display, load connection, measuring point illumination and rotating field test. 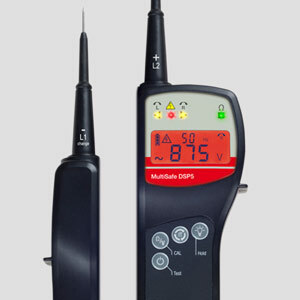 Compact voltage tester with easy operation. Full function without battery. With integrated continuity, phase and phase sequence tester. Electricity meter tester, without battery, with additional 350 W-load for fast startup tests of electricity meters, with voltage, phase and phase sequence tester. Electricity meter tester, without battery, with additional 350 W / 1050 W -load for fast startup tests of electricity meters, with voltage, phase and phase sequence tester.